Dr Thomas Ifor Rees served as Britain’s first Ambassador to Bolivia in the 1940s, and was the author of a number of travel books in Welsh and English. 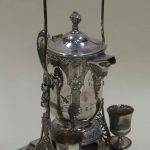 Items auctioned in a fine art and antiques sale by Rogers Jones & Co, included a Mexican silver six-piece tea set, a trio of Brioschi oils, and a pair of 19th century carved gaucho stirrups. 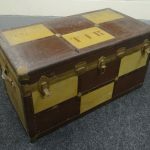 Also among the collection was a kitchen sideboard, oak linen-press, wicker laundry basket, and violin as well as South American school oils, a 19th-century religious portrait, ornate refreshments set, pre-Columbian pottery, a Christy’s London bowler hat, and cabin luggage. 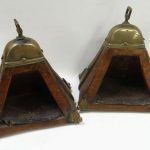 Auctioneer Ben Rogers Jones said: “The items are evocative of another era, and one far removed from Dr Rees’ homeland. Born near Rhydypennau in 1890, Dr Rees was one of seven children, his father was well-known composer and conductor J T Rees. An American silver-plate refreshment set. 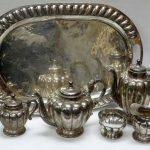 Mexican silver six piece tea-set. After graduating from Aberystwyth University he joined the Foreign Office in London and his first assignments were in France and Venezuela, where he spent the First World War. 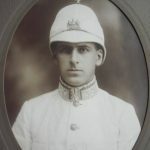 He was later transferred to Nicaragua, Central America, and was made Consul-General in Bilbao, Spain, followed by Mexico, Cuba and Milan, before returning to Mexico City where he was put in charge of the embassy as British Minister. In Bolivia he witnessed the brutal coup of 1946, which culminated in the murder of the country’s president after an angry mob invaded the palace, and his diplomatic skills were tested to the limit at a time of great unrest and political unease. Dr Rees was a proud Welsh speaker who celebrated St Davids Day where ever he was in the world, and was a talented linguist who learnt the language of the countries he lived in. His translation of The Rubaiyat of Omar Khayyam was the first welsh book to be printed in Mexico. The father-of-four died in 1977, aged 86, and was buried near his family home. Nearly 40 years later items from his estate came to light at the auction house. Documents and photographs belonging to Dr Rees have been acquired by the National Library of Wales, where he was a committee member.